Planning Consent granted for Infrastructure and the first building at Phase 1. After several years of preparation Wykeland is pleased to announce it has received planning consent for Phase 1 of Meltonwest Business Park. The development site extends to nearly 50 acres and will accommodate a range of uses including manufacturing, warehousing and offices. The consent will now allow Wykeland to construct a 550m spine road together with all the necessary services to create plots of up to 20 acres for any size of commercial building up to 300,000 sqft. The planning consent also includes a 40,000 sqft building for a local manufacturing company. Wykeland aims to follow it’s success at Grimsby’s Europarc where well designed cost effective buildings in an attractive landscaped environment has proven to be a winning formula. With the implementation of a Design Code which will maintain a high quality building design and 20% landscaping as standard Wykeland is confident it will establish a new standard for what commercial business expect from their business environment. Dominic Gibbons Director at Wykeland commented “We’ve been developing commercial properties for nearly 40 years and have always strived to push forward the benchmark for what a commercial development should deliver. Whether a business is a manufacturer or in Financial Services it needs a building and a setting that it can be proud of in years to come; it is future proofed; and at Meltonwest that is what we aim to deliver”. 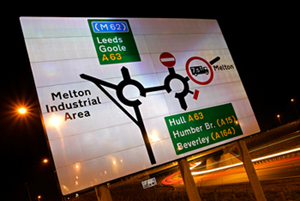 With an uninterrupted route on to the A63 allowing direct access to all the Humber Ports, with Hull to the east, and the M62 and Goole to the west, the site is in an ideal location. Chris Ladley, Business Investment Services Manager at East Riding of Yorkshire Council commented “The Melton area is one of the counties leading strategic development sites suitable for attracting inward investment and regional and local expansion projects”.